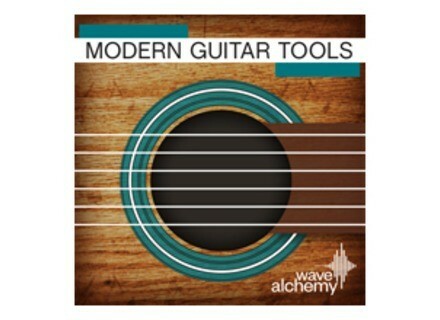 Modern Guitar Tools, Guitar Sample from Wave Alchemy. 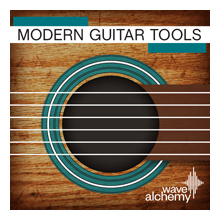 Wave Alchemy has released Modern Guitar Tools, a collection of over 400 guitar loops and performances for a wide range of musical genres. Modern Guitar Tools is a versatile selection of guitar loops, all played and recorded live with a collection of acoustic, semi-acoustic and electric guitars and a multitude of high-end microphones and amp combinations. All loops have been further edited by hand and individually processed with high-end outboard gear. EastWest celebrates its 25th Anniversary For its 25th Anniversary, EastWest gives you to opportunity to rediscover legacy virtual instruments, thanks to a special collection. [NAMM] New collaborative creation app on iPad WholeWorldBand, a new app for iPad, gives you the opportunity to collaborate with artists and even get paid when commercial use is made of the song. No more obligatory iLok at Virharmonic’s One by one, the virtual instrument developers are adopting the new Pace Eden security system. Virharmonic is one of them.